In this section, we present an ANSYS Savant batch example. 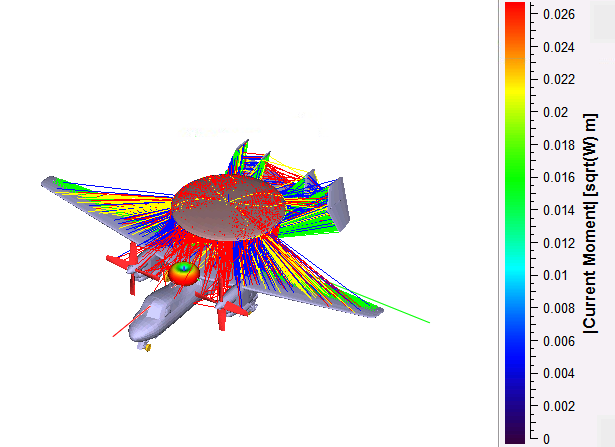 This example is based on a simulation of wide-band antenna coupling (isolation) between two antennas located on an E-2C aircraft. A multi-layered dilectric medium is defined for different parts.